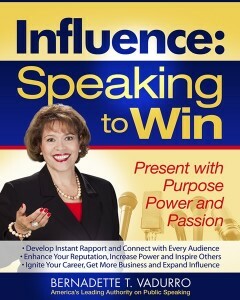 Remember your audience is always rooting for you to give a great presentation! No one goes to a presentation wanting the speaker to fail and neither do you. Your audience walks into the room ready to support you! They want to hear about your ideas— information, services, or products that might help them in some aspect of their personal or professional lives. 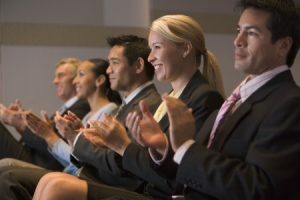 If this seems hard to believe, ask yourself if you have ever attended a meeting or public presentation and thought, “I hope the presenter is horrible—I hope he/she is boring and puts me to sleep!” Of course you don’t think like this. You hope the information shared will be worthwhile. You expect that the time you invest in attending the meeting is of value and you anticipate the best. So if the thought of public speaking fills you with any anxiety, keep in mind this important concept. When you give a presentation, your audience is in fact rooting for you.